Adil Zainulbhai is a mechanical Engineer from the 1977 batch of IIT-Bombay and a post-graduate from Harvard Business School – he is currently President of HBS’s alumni association in India. Adil Zainulbhai retired from McKinsey India as its chairman after 34 years with the legendary consulting firm, 24 of which were in the US. Zainulbhai joined McKinsey in 1979 straight out of HBS; he set up the Minneapolis, Minnesota, office and later led the McKinsey office in the US capital of Washington D.C., helping clients across sectors as diverse as telecommunications, consumer electronics, energy, banking, infrastructure, and healthcare.He returned to head the India office out of Mumbai in 2004, and is still a senior advisor to the firm. 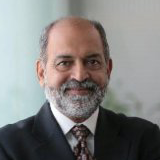 He also serves on the advisory boards of the Indian Institute of Technology Bombay, the Wockhardt Foundation, and the Health Management Research Institute, as well as on the global advisory board of the Booth School of Business at the University of Chicago. Continuing his efforts to fortify the ‘Made in India’ brand, Prime Minister Mr. Narendra Modi has got Mr. Adil Zainulbhai to head the Quality Council of India (QCI). The agency is an autonomous body charged with becoming one of the world’s top quality facilitation, accreditation and surveillance organisations. The Council is mandated with continuously improving the climate, systems, processes and skills for quality in areas like education, healthcare, environment, infrastructure, governance and social sectors. Adil Zainulbhai is also deeply concerned with strengthening India’s public sector and contributing to the nation’s development, and works closely with senior government leaders to drive growth and raise living standards. In that sense, his latest appointment is a formal extension of what he has already been doing in as a private citizen. Before joining Walmart International as a Senior Vice President in 2012 in Bentonville, Arkansas, he was Managing Director of A.S. Watson Group, a leading health, beauty and lifestyle retailer. 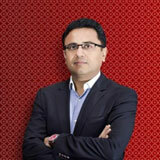 Krish also served as Managing Director and CEO of Piramyd Retail Limited. Besides serving as member of key Industry bodies such as Retailers Association of India, he is also on the advisory board of Enactus India, an international nonprofit organization dedicated to inspiring students in entrepreneurial action. 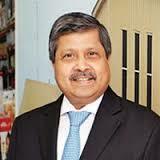 He is the chairperson of FICCI Retail & Internal Trade Committee and a member of the CII committee on MNCs. Krish is a Chartered Accountant and an associate member of the Institute of Chartered Accountants of India. Amitabh Taneja, Chairman & Managing Director and editor-in-chief, Images Group, has been working for over two decades now to modernize and expand the Indian retail market and build informed consumerism in India. 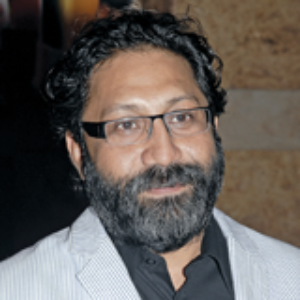 He is also the founding director of the Shopping Centres Association of India and the Fashion Alliance India. He is the chief convenor of The India Retail Forum, India Fashion Forum, Food & Grocery, and Food Service Forum India. He is also on the board of several business & trade promotion organizations and had been instrumental in setting up operations for the International Council of Shopping Centres in India as its India Director in 2004. Headquartered in New Delhi, with offices across Indian metro’s and the Middle East, the Images Group is recognised by the international retail community and trusted as a lead catalyst for profitable growth of modern retail through knowledge platform leadership. 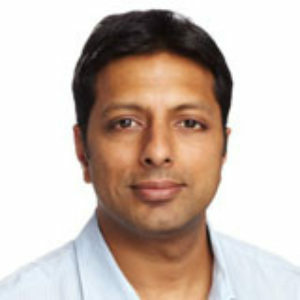 Amit Agarwal is responsible for Amazon’s consumer and seller businesses in India, including operations of two websites: Junglee.com (launched in February 2012) and Amazon.in (launched in May 2013). Prior to taking on this role, he was responsible for Amazon’s country expansion efforts including launching Amazon’s retail presence in Italy and Spain. Agarwal joined Amazon.com in 1999, and has led several new initiatives in the formative stages of Amazon’s seller, web-services and external payments businesses, and played a crucial role in Amazon’s recent international expansion efforts. He has served in a variety of leadership positions including: Director of Technology Amazon Web Services (AWS), Managing Director for Amazon’s development center in Bangalore, Global Technical Advisor to Jeff Bezos, and Vice President International Expansion. 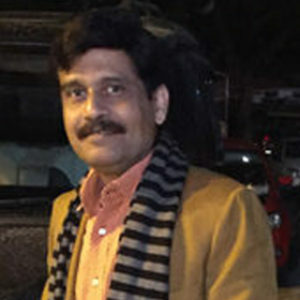 Agarwal holds a Masters in Computer Science from Stanford University, and a Bachelor’s degree in Computer Science from the Indian Institute of Technology, Kanpur in India. Agarwal lives in Bangalore with his wife, daughter, and son. Mr. Anil Jauhri is the Chief Executive Officer of the National Accreditation Board for Certification Bodies (NABCB). Mr. Jauhri began his career in 1980, when he joined the Bureau of Indian Standards (BIS) as an Assistant Director and gradually rose to the level of Scientist F. He was head of the division of Management Systems when he quit BIS. He is a trained Environment and Quality Management Systems auditor as per ISO 14000 and ISO 9000. Mr. Jauhri also worked as an Adviser in the Export Inspection Council of India (EIC) in 2000 for 3 years on deputation from BIS. He joined the NABCB in January 2006, as Adviser and was appointed Director in 2010 and CEO in February 2013. He manages the accreditation programs for Management Systems certification bodies for QMS, EMS, FSMS, OHSMS, ISMS, and Medical Devices QMS, Inspection bodies and product certification bodies. Mr. Jauhri has been actively engaged in the National Quality Campaign, assigned to the Quality Council of India (QCI) in various sectors such as public services, food safety, GAP, etc. He has helped develop systems of conformity assessment to support regulations using accreditations for regulators, including the Food Safety and Standards Authority of India (FSSAI), in addition to support towards various government bodies in developing programmes for voluntary certification as well. Mr. Jauhri is also an active Member of the CDM Accreditation Panel under UNFCCC, Bonn since July 2007. Mr. B.S. Nagesh has been a role model to the Indian retail industry and has served the industry for over 30 years. Mr. Nagesh is also the Vice Chairman and Non–Executive Director of Shoppers Stop Limited. He has been with Shoppers Stop Ltd since its inception in 1991 and continues to be a strategic advisor to the management. Mr. Nagesh was also instrumental in acquiring of the Crossword chain of bookstores in the year 2000, and setting up and opening the country’s largest hypermarket HyperCity (launched in May 2006). HyperCity has been declared as one of the top 100 retail destinations in the world by Retail Week, UK and the best hypermarket at the United States International Design Awards in New York. As part of his personal philosophy of Learn, Earn & Return, Nagesh stepped down from all operational roles in the K. Raheja Corp Group in August 2009 at the age of 50. Amongst his numerous achievements, Mr. Nagesh is the first Asian to be inducted into the “World Retail Hall of Fame” 2008 along with Mr. Millard Drexler of J Crew, Sir Philip Green of BHS and Arcadia and Mr. Amancio Ortega of Inditex at the World Retail Congress 2008 conducted in Barcelona. The four iconic retailers have been selected by retail industry leaders and experts from across the Globe in recognition of their supreme industry achievements. Shoppers Stop Ltd also won the ‘Emerging Market Retailer of the Year’ Award at the World Retail Congress 2008. Mr. Nagesh has also been inducted into the Indian Retail Hall of Fame in the year 2012 at India Retail Forum (IRF). He was voted by Business India as one of the top 50 managers in India who will influence the Indian business scenario in the 21st century. Ernst & Young nominated him for the Entrepreneur of the Year Award 2005 as one of the top 30 finalists. CMAI recognised him as ‘The Retail Professional of The year’ for four consecutive years. Mr. Nagesh was also felicitated with ‘The Best Professional of the Year’ award at ICICI Bank, in 2005. Before joining the K. Raheja Corp group in 1991 for Shoppers Stop Limited, Mr. Nagesh worked with Carona Ltd. (1988-1991) as its zonal manager retail for South & East controlling the operations of 128 stores in these two regions. 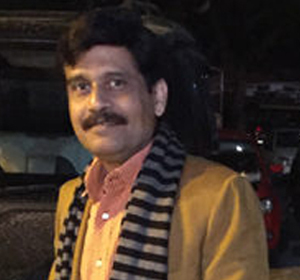 He started his career as a Sales Officer in the Delhi branch of Blow Plast Ltd in 1982, Nagesh left Blow Plast in 1986 when he was the Area Manager for Vijaywada branch to Join Orson Electronics as the Branch Manager for Delhi, Haryana. (1986-1988). 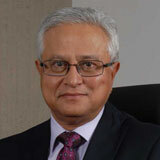 Mr Banerjee has been with the CII for over 28 years and has been the Director General, CII since May 2008. Mr Banerjee has been responsible for important areas of work including the Sectoral Verticals – Manufacturing, Services, Agriculture and Life Sciences Sectors and the SMEs. He has led key policy work of CII in the areas of Economic Policy, Financial Services and Corporate Governance (he was also the First Executive Director of the National Foundation of Corporate Governance -NFCG, an organization set up by the Ministry of Company Affairs, Government of India). He continues to be in the Board of Trustees and Governing Council of NFCG as a Member. 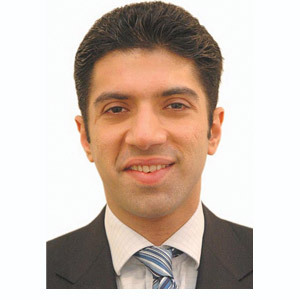 Earlier Mr Banerjee has served as Head of CII’s regional operations in the Northern, Southern and Western Regions. Over the years Mr. Banerjee has worked out of the CII-Headquarters in New Delhi for several years and has also been based at Kolkata, Chennai, Mumbai, Chandigarh and Ahmedabad. He was also in Bangalore to initiate the Centre of Excellence of the Indian Machine Tool Manufacturers’ Association (IMTMA), which is a state-of-the-art centre for training, conventions and trade fairs. Mr Banerjee is in various advisory committees of the Government of India. He is the Co-chairman of the Governing Council, Overseas Indian Facilitation Centre (OIFC), a not for profit public private initiative of Ministry of Overseas Indian Affairs (MOIA) and CII, established in 2007. He is a Member of the World Economic Forum’s Global Agenda Council on India. Mr Banerjee is a Member of the Chief Minister’s Advisory Council, Madhya Pradesh and also a Member of the Board of Governors of Indian Institute of Management (IIM), Ranchi. He is an advisory board member of the Commonwealth Enterprise and Investment Council (CWEIC). Mr Banerjee has been honored with the China-India Friendship Award by the Chinese Premier Wen Jiabao for his contributions towards the development of bilateral ties between India and China. Mr Banerjee has also been conferred with the decoration of Knight Commander of the Order of Queen Isabella by His Majesty the King of Spain in recognition of his most meritorious achievements and exceptional contributions towards promoting relations between India and Spain. Mr Banerjee is also the Secretariat for several bilateral CEOs Forums. These include Forums with Australia, France, Russia, Canada, Malaysia, Indonesia, Myanmar, Japan, Pakistan, South Africa among others. With 66 offices, including 9 Centres of Excellence, in India, and 8 overseas offices in Australia, Bahrain, China, Egypt, France, Singapore, UK, and USA, as well as institutional partnerships with 312 counterpart organizations in 106 countries, CII serves as a reference point for Indian industry and the international business community. Dr. A. Didar Singh, Secretary General of FICCI is a former civil servant who retired as Secretary to Government of India. Besides a Bachelors and Masters from Delhi University and an additional Masters from Birmingham University, UK he also has a PhD in e-Commerce. Dr Singh is an internationally known expert in e-Commerce, Trade and Migration and has been a consultant for several international agencies, including the International Trade Centre; World Health Organization; and South Centre, Geneva as well as the Commonwealth Secretariat, London. He has three books and several publications to his credit. Dr Isher Judge Ahluwalia is a renowned Indian economist, with wide experience in the fields of and urban planning and development, economic growth, productivity, industrial and trade policy reforms. She is currently Chairperson on the Board of Governors for the Indian Council for Research on International Economic Relations (ICRIER), a leading think-tank based in New Delhi engaged in policy oriented research. At ICRIER, Dr Ahluwalia is leading a major research and capacity building programme on the challenges of urbanisation in India. She was awarded Padma Bhushan by the President of India in the year 2009 for her services in the field of education and literature. Dr. Ahluwalia was Chairperson of the High Powered Expert Committee on Urban Infrastructure and Services during 2008-11, which submitted its Report to the Government of India in March 2011. She was a Member on the National Manufacturing Competitiveness Council and is on the Boards of a number of premier research institutes in India. Dr Ahluwalia was Vice Chairperson of the Punjab State Planning Board from 2005 to 2007. Dr Ahluwalia is on the Board of Governors of IWMI (International Water Management Institute), and was Chairperson, Board of Trustees of IFPRI (International Food Policy Research Institute), Washington D.C., from 2003 to 2006. She was a member of the Eminent Persons Group (EPG) on India-ASEAN (Association of South East Asian Nations), an association established by the respective governments during the period 2011-12. She was also a member of the EPG of the Asian Development Bank from 2006 to 2007, which submitted its report titled “Towards a New Asian Development Bank in a New Asia” to the President, ADB in 2007. Dr Ahluwalia has written a number of books, the latest being “Transforming Our Cities: Postcards of Change” (HarperCollins, 2014), and a co-edited volume titled “Urbanisation in India: Challenges, Opportunities and the Way Forward” (Sage India, 2014), which proposes critical reforms and policy interventions. She is also the co-editor together with Prof. IMD Little of “India’s Economic Reforms and Development: Essays for Manmohan Singh” (OUP,2013),which is an updated version of the original volume published in 1998. Dr. Rajiv Kumar, a leading Indian economist, is the Vice Chairman of NITI Aayog by the government of India. He is the author of several books on India’s economy and national security and one of the country’s leading columnist. His latest book ‘Exploding Aspirations: Unlocking India’s Future’ (2104) is a collection of his columns. He is also the Founding Director of Pahle India Foundation, a non-profit research organization that specializes in policy research and analysis. In past he has served as Senior Fellow at the Center For Policy Research, (Delhi) and Chancellor of the Gokhale Institute of Economics and Politics (A Deemed University, Pune). 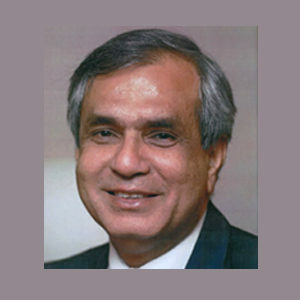 He was Secretary General of the Federation of Indian Chambers of Commerce and Industry (FICCI, 2010-2012); Director & Chief Executive of the Indian Council for Research on International Economic Relations (ICRIER, 2006-2010); and Chief Economist of the Confederation of India Industries (CII, 2004-2006.) He worked in the Asian Development Bank, Manila from 1995 to 2005. He joined the Government of India initially in the Ministry of Industries, Bureau of Costs and Prices (1989-1991) and then worked as Economic Advisor in the Department of Economic Affairs, Ministry of Finance (1992 to 1995). He was a professor at the Indian Institute of Foreign Trade, Delhi (1987-89) and research program officer at ICRIER from 1982 to 1987. 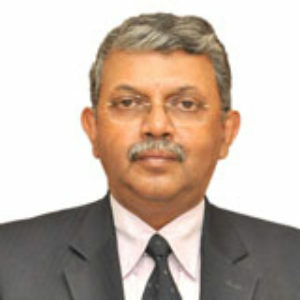 He presently serves on the Board of Management of several prestigious international and national institutions including, King Abdullah Petroleum Studies and Research Center, Riyadh; Economic Research Institute for ASEAN and Asia (ERIA) Jakarta; Indian Institute of Foreign Trade, Delhi; and Institute of Human Development, Delhi. He was a member of Government of India’s National Security Advisory Board for 2006-2008 and a former member (2009-15) of the Central Board of the State Bank of India. He has a D.Phil. in Economics from Oxford University and a Ph. D from Lucknow University. 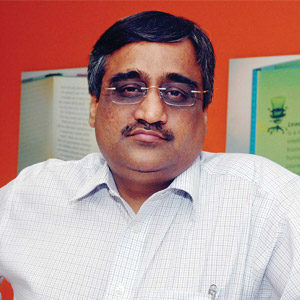 Widely credited as the pioneer of modern retail industry in India, Kishore Biyani is a mentor and role model for many Indian entrepreneurs and a thought leader in Indian business. Over the past two decades he has created and leads some of India’s most popular retail chains like Big Bazaar, Food Bazaar, Pantaloons, Central, Home Town and eZone. A believer in the group’s corporate credo, ‘Rewrite Rules, Retain Values,’ Kishore Biyani considers Indianness as the core value driving the group. His autobiography, ‘It Happened in India,’ has been translated into a number of languages. Neel Chandru Raheja serves as Group President of K. Raheja Corp Private Limited (formerly K Raheja Corp.). In addition to this he also serves as Managing Director at Chalet Hotels Limited. He has over nine years of experience in the real estate development and hospitality industry and in retail industry. He has visualized and developed the “Inorbit” shopping mall at Malad, Mumbai. He is involved in the “Crossword” retail business and takes interest in development of the Shoppers’ Stop business. 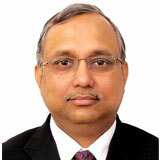 He has been a Director of K. Raheja Corp Private Limited since May 16, 2004. He has been Director of Ishaan Real Estate Plc since October 31, 2006 and serves as a Non-Executive Director of Chalet Hotels and Shoppers Stop Limited. He holds a Master’s in Commerce and LLB from Mumbai University. He has done post-graduation in Commerce. He has also completed the Owner/President Management Program at Harvard Business School. With a career spanning over 20 years and multiple geographies, he have enjoyed diverse leadership roles in omnichannel retail, ecommerce, analytics, R&D, operations & quality.He is embarking upon a new journey with the shipping and logistics industry, and have joined Maersk to lead its Global Service Centres and enable its digital transformation. In his previous role,he led Target India, an extension of Target’s headquarters in India, and its world class team driving capabilities across digital technology, data sciences, merchandising, marketing, store design, and automation. Additionally, as part of Target’s senior leadership team, he has been responsible for driving Target’s digital technology and Pricing and Promotion capabilities. Over the last two years, he had also been intricately involved in enabling Target’s digital and cultural transformation into a top tier omnichannel retailer. He is passionate about working with the startup ecosystem. Apart from serving on the selection committee for the 10K Startup warehouse, he had the chance to launch the Target Accelerator Program in 2014. The selected startups have the opportunity to scale globally, through high potential work in areas of digital, omnichannel experience, data, and more. So far, 22 external and 5 internal startups have been “accelerated” by this program. He is also actively engaged with NASSCOM and other advisory bodies to accelerate the maturation of Global In-house Centers (GICs). Specifically, he is passionate about nurturing and mentoring global leaders and developing perspectives around what it takes for individuals and companies to be successful working across geographies and cultures. Prior to joining Target, Navneet spent about 10 years with GE in New York – USA, Bangkok – Thailand, Tokyo – Japan and Gurgaon – India, in a variety of roles spanning research & development, operations & quality, and marketing. Most recently before Target, he served as Vice President – Marketing for GE’s Commercial Finance business in Asia. Navneet is actively engaged with NASSCOM and other advisory bodies to accelerate the maturation of Global In-House Centers (GICs). 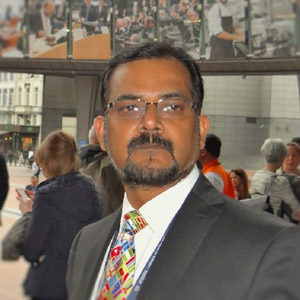 He is currently the co-chair of NASSCOM GIC National Council. He is also passionate about strengthening the product ecosystem in India and finding new ways to further the industry’s engagement with startups. A regular at conferences and industry forums, Navneet often shares his learnings on topics ranging from digital disruption and global leadership to innovation and diversity. He received his Ph.D. (Chemical Engineering) and M.S. (Electrical Engineering) degrees from the University of Minnesota, USA, an MBA from the University of Chicago, USA and a Bachelors degree in Chemical Engineering from IIT Kanpur, India. He has several patents to his name and has published numerous research articles in various refereed journals like IEEE. Navneet is married and lives in Bangalore with his wife and two sons. When not at work, he enjoys sports, movies, theatre and traveling. After taking charge of Madura Fashion & Lifestyle about five years ago, Mr. Pranab Barua transformed the Company, bringing it back into profit, and earning for himself a reputation as a turnaround specialist. Mr. Barua has close to 40 years of rich and diverse experience in top management roles across companies and industries. He has been the Sales and Marketing Director at Brooke Bond India Ltd; Foods Director on the Hindustan Unilever Board; Chairman and Managing Director of Reckitt Benckiser and Regional Director for Reckitt Benckiser – South Asia. He has also worked closely with private equity groups such as IL&FS, Actis and India Value Fund for their investor companies Godrej Tea and Trinethra Super Retail. Mr. Barua did his schooling in Assam passing out from St Edmund’s School and then graduating with English honours from St Stephens College, New Delhi. He has also attended many advanced Management programs in India and abroad. Rama Bijapurkar is one of India’s most respected thought leaders on market strategy and India’s consumer economy. 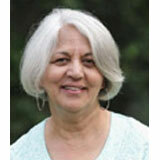 She is also a keen commentator on social and cultural change in post-liberalization India. 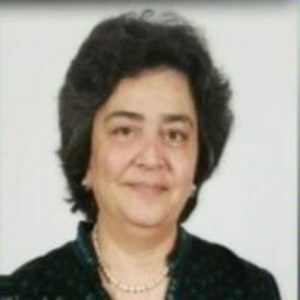 She has her own strategy consulting practice and works with an impressive list of Indian and global companies, and serves as an independent director on the boards of several of India’s blue chip companies.Rama writes extensively in the media and is a dominant voice on issues relating to India’s business, consumers and polity. 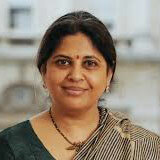 Her book We Are Like That Only: Understanding the Logic of Consumer India (Penguin Portfolio) has been widely acclaimed. The international edition Winning in the Indian Market: Understanding the Transformation of Consumer India (Wiley) has been translated into Hindi and Mandarin. She is also the author of Customer in the Boardroom? Crafting Customer-based Business Strategy (Sage). 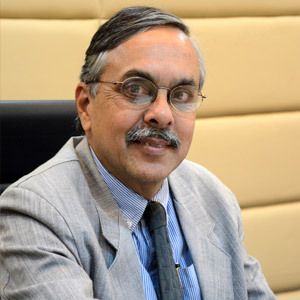 Dr. Ravi P. Singh is the 4th Secretary General of Quality Council of India an independent organization under Department of Industrial Policy and Promotion, Government of India. He heads the organization which has the mandate to improve the quality of products, processes and services in sectors like education, healthcare, skills training, manufacturing etc. Prior to being appointed as Secretary General by the Government of India, Dr. Singh served IGNOU as the Director of Regional Services Division and then as the Senior Regional Director in Delhi. Dr. Singh was formerly the founder Vice Chancellor of Sharda University at Greater Noida. He joined this position on leave from Punjab Technical University where he continued as Dean from 2003-2009. Dr. Singh started his career as an Assistant Director in All India Council for Technical Education in 1996 and continued as Deputy Director till 2003. He held various important positions like Regional Officer of the Northern Regional Office at Kanpur during 1996-1999 and later as the regional Officer of Eastern Regional Office at Kolkata during 2000-2001. He has been an academic administrator since 1996 and has made exceptional contributions in policy planning, accreditation, use of ICT in classroom learning, flexible credit based system implementation, research and development. Ever since joining QCI, Dr. Singh has initiated various innovative schemes and projects for quality intervention at grassroots level. Under his leadership, QCI is presently involved in Zero Defect, Zero Effect Maturity Model implementation in manufacturing as well as Competence Certification of Yoga Professionals around the world. Dr. Singh is known for his frank ideas and writes regularly in magazines and journals. He sits on various Boards and Committees in Government as well as Industry and travels extensively in India and abroad. Born in Varanasi, Dr. Singh completed his Bachelors and Masters in Physics from Banaras Hindu University. He was the Gold Medal winner at Masters level in Physics and pursued his Ph.D and Post-doctoral work in Condensed Matter from University of Western Ontario, Canada during 1989-1995. Renuka is responsible for spearheading the growth of the Landmark Group, one of the largest retail and hospitality conglomerates across the Middle East and India. Her many achievements include creating and establishing the high street fashion brand, Splash, launching the Landmark International franchise division and leading the Group’s entry into India with Lifestyle International Pvt. Ltd. Since the Group’s foray into the country in 1999, she has played a pivotal role in its strategic expansion and growth by introducing new brands and building key partnerships. Over the last 5 years, Renuka has also guided the Landmark Group’s corporate strategy, reinforced the fashion and hospitality business, led expansion into new countries, and initiated the venture into e-commerce with Landmarkshops. A strong believer in giving back to the society, she also passionately drives the Group’s CSR initiatives. 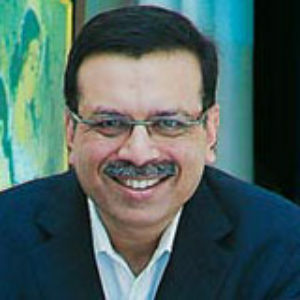 Sanjiv Goenka is the chairman of RP-Sanjiv Goenka Group which has an asset base of over INR 32,000 crore (over US$ 4.8 billion). The Group has over 50,000 employees and over a hundred thousand shareholders with annual revenues of up to INR 16,000 crore (US$ 2.5 billion). Alongside being the chairman of CESC Limited, he also has under his wing, companies like Firstsource Solutions Limited, Philips Carbon Black Limited, Spencer’s Retail and Entertainment major Saregama Limited. Besides, he is also the co-owner of ISL football club, Atlético de Kolkata. The IPL team of Pune cricket franchise is also owned by Sanjiv Goenka’s New Rising. On 20 May 2015, Mr Sanjiv Goenka was honoured with the highest civilian honour from the West Bengal, ‘Banga Bibhusan 2015’ by the Hon’ble Chief Minister of the State, Mamata Banerjee and the Governor of West Bengal, K. N. Tripathi. Mr. Goenka has been the youngest-ever President of Confederation of Indian Industries (CII). A past Chairman of the Board of Governors, Indian Institute of Technology (IIT) Kharagpur, he is also a former President of All-India Management Association (AIMA). Currently he is Chairman of International Management Institute (IMI) which has campuses in Delhi, Kolkata and Bhubaneswar. Mr Goenka is presently a Member of the National Foundation for Corporate Governance set up by the Ministry of Corporate Affairs, Government of India. He was also a Member of the CII National Council on Corporate Governance and Regulatory Affairs for the year 2013-14. Saurabh Sanyal is a professional with over 33 years of experience in Armed forces and corporate. He is an engineer and a post graduate from IIT Madras. He has done his Masters in Disaster Mitigation and is also an MBA. Mr Sanyal hung his boots prematurely as a Colonel from Army Headquarters, New Delhi. He has participated in active service in Counter Insurgency Op Rakshak in J&K, Op Parakram, Op Bajrang and Op Rhino in the Northeast and was commended by the Chief of the Army Staff twice in 1994 and 2005 for distinguished service. He has been planning and implementing projects in infrastructure at national and international levels in Construction, Power /Energy sectors in Africa, SAARC countries and across India. He presently works with the PHD Chamber of Commerce and Industry. 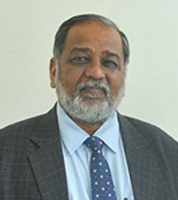 He served as ED since May 2013 and is now the Secretary General of PHDCCI. He has been a member of the Indian Building Congress, Indian Road Congress, and the Institution of Engineers. He is a keen sportsman and an avid golfer. Zia Mody, founder and senior partner of AZB & Partners, is one of India’s foremost corporate attorneys. She has a B.A. (Law) from Cambridge, an LLM from Harvard, and is a member of the New York State Bar. 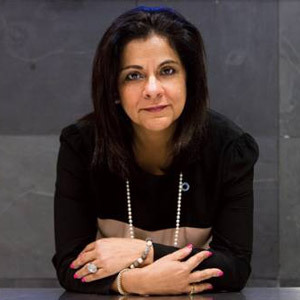 She began her career at Baker & McKenzie, New York, before moving to India to establish the Chambers of Zia Mody, which became AZB & Partners in 2004. Fortune India 2015 ranks her amongst the Top5 Most Powerful Business Women in India.